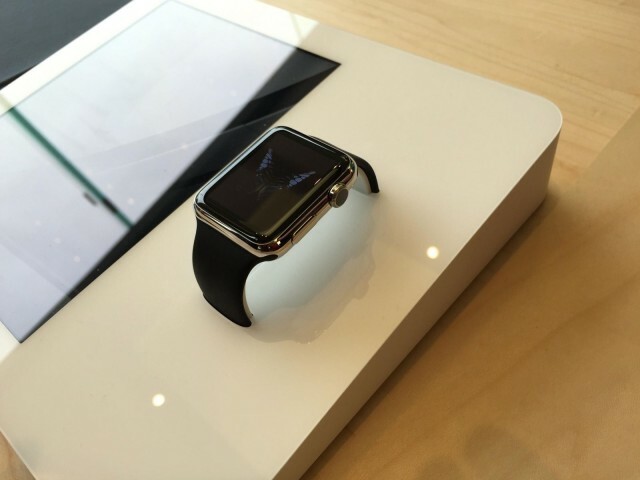 Here’s what it’s like to try-on the Apple Watch at stores. Apple Watch pre-orders just went online, but if you’d like to go try-on Jony Ive’s amazing timepiece before you buy it, you can now schedule a one-on-one appointment to go through the different models. 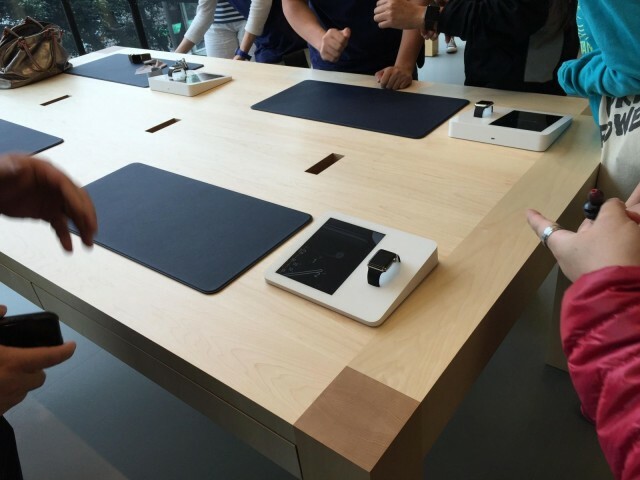 Apple Stores have been outfitted with new viewing tables and demo stations for the pre-order launch. Reservations only last 15 minutes, (unless you’re buying the Apple Watch Edition), but that should be enough time to find the right case and band combo to match your style. 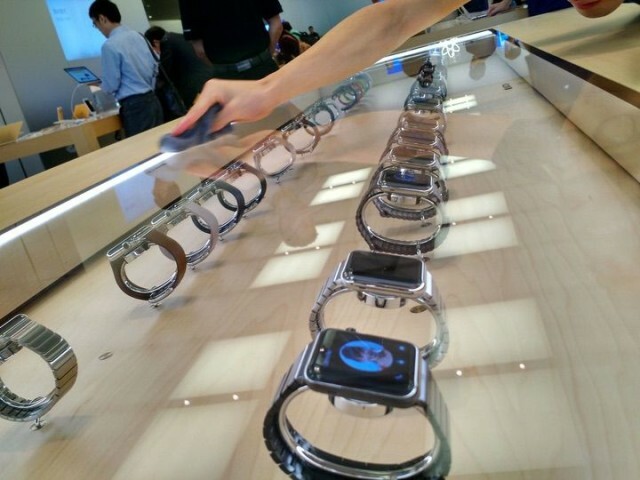 Some readers overseas have sent us pictures of their Apple Watch try-on sessions. Hands-on area where you can play with features and apps. 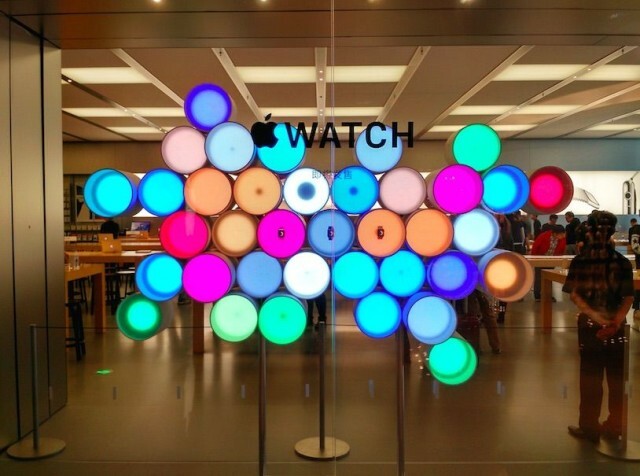 You can’t actually try on the working Apple Watches. They’re tethered to the table. The iOS 8.3 jailbreak could be a long time coming. 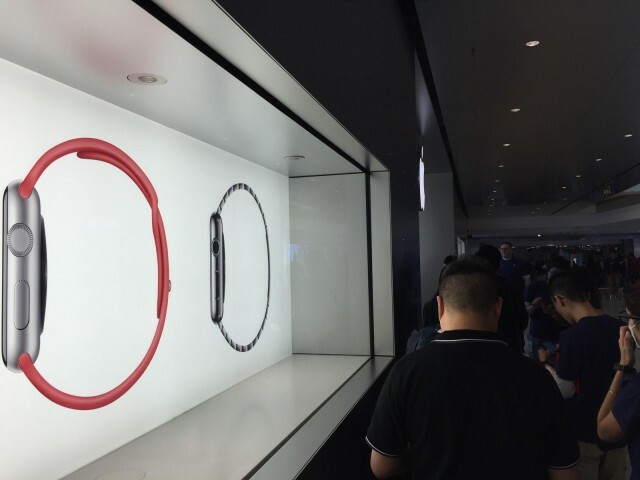 Tim Cook says Apple Watch “orders are great” in visit to Palo Alto Apple Store, wears custom watch with red crown.